For this week's tax map, we're continuing our series on pass-through businesses. For the first map of the series, check out our two previous maps here, here, and here. As with other pass-through business owners, S-corporation owners face the similar marginal tax rates as individual wages earners. However, how much owners pay in taxes can differ based on how much they participate in the business. An active shareholder of an S-Corporation participates in the day-to-day activity of the business while a passive shareholder does not. All owners of S-corporations need to pay federal individual income taxes (top marginal rate of 39.6), state and local income taxes (from 0 percent to 13.3 percent), and are hit with the Pease limitation on itemized deductions, which adds an additional 1.18 percent marginal tax rate. The difference in how each type of owner is taxed is in how the payroll tax (the tax that funds Social Security and Medicare) and ACA Net Investment Income Tax affects them. Active shareholders generally receive two types of income from their S-corporations: wage income and a profit distribution. The wage income is subject to the payroll tax, which is 15.3 percent on the first $117,000, 2.9 percent on the next $83,000 and 3.8 percent on all income over $200,000. The profit distribution is not subject to the payroll tax. So if an owner receives $200,000 and half of it is wage income, they need to pay $15,300 in payroll taxes (15.3 percent of $100,000), the rest is exempt from the payroll tax. 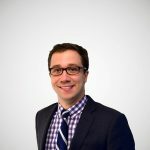 Given the fact that there is a significant incentive to distribute as much profit as possible and pay as little wage as possible, the IRS sets guidelines for businesses. Businesses need to pay a reasonable salary to their active owners. Top marginal tax rates for active shareholders then vary based on whether the last dollar is profit or wage. 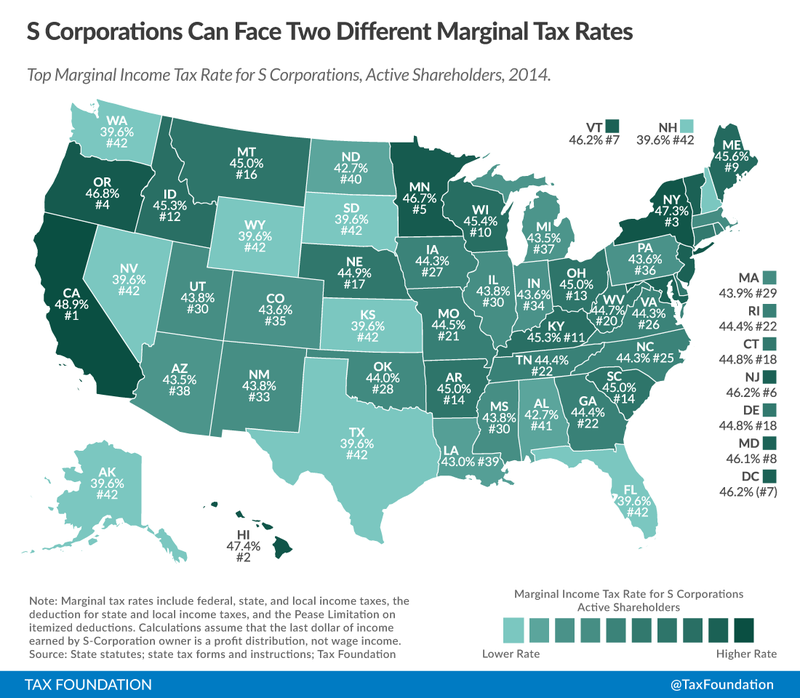 The following map shows the top marginal tax rate in each state for an active shareholder, assuming that their last dollar earned was a profit. Passive shareholders do not pay any payroll tax on their income since they do not draw a wage from the business. Instead, they are liable for the ACA’s Net Investment Income Tax of 3.8 percent, which only hits income over $200,000 ($250,000 for married filing jointly). As a result, passive shareholders can face higher top marginal tax rates than active shareholders.